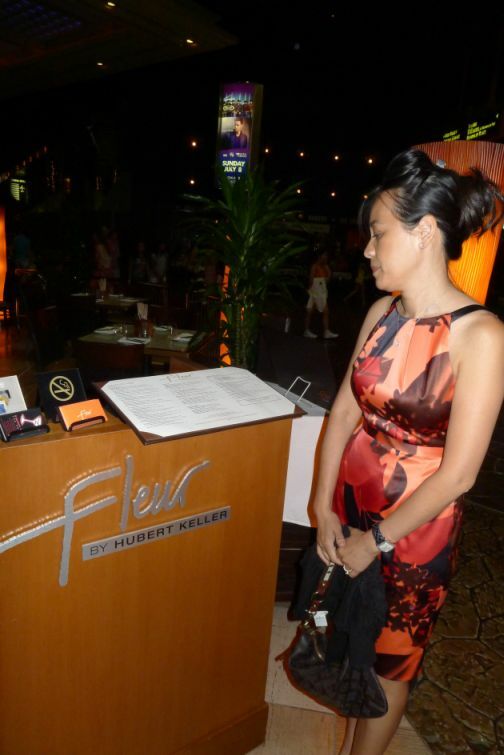 For our second evening I chose Fleur by Hubert Keller. 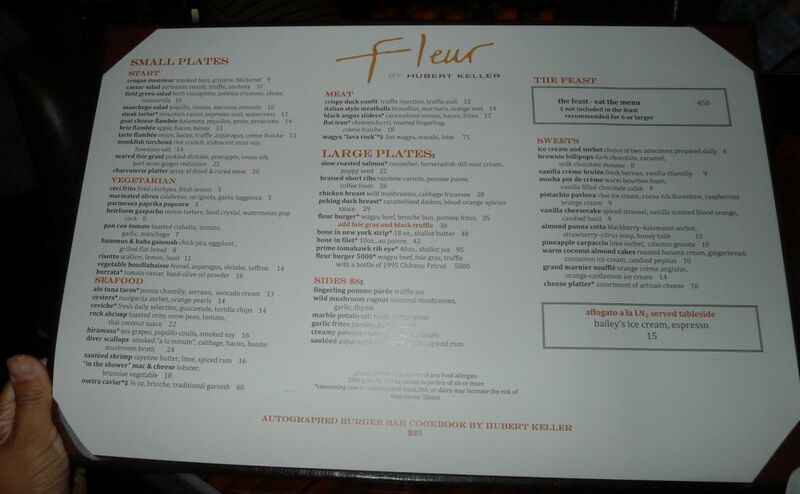 Hubert Keller is a French chef known for his famous Fleur the Lys restaurant in San Francisco. 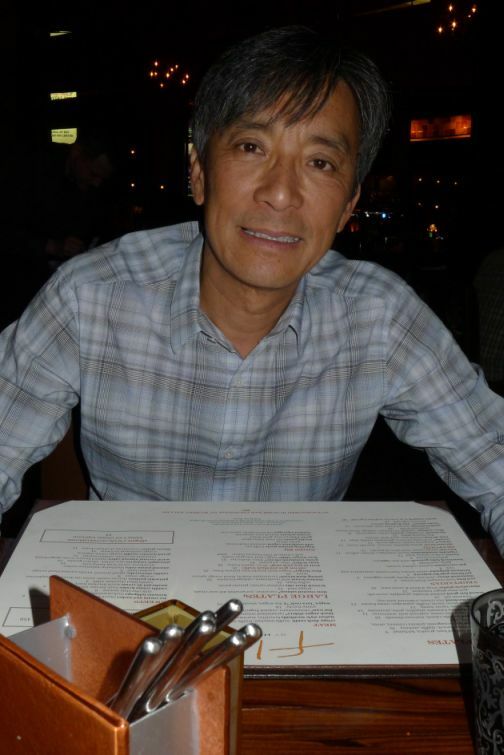 He was ranked as one of the "10 best new chefs in America" by Food & Wine magazine in 1988 and in 1997 he won the James Beard award for America's Best Chef in California. 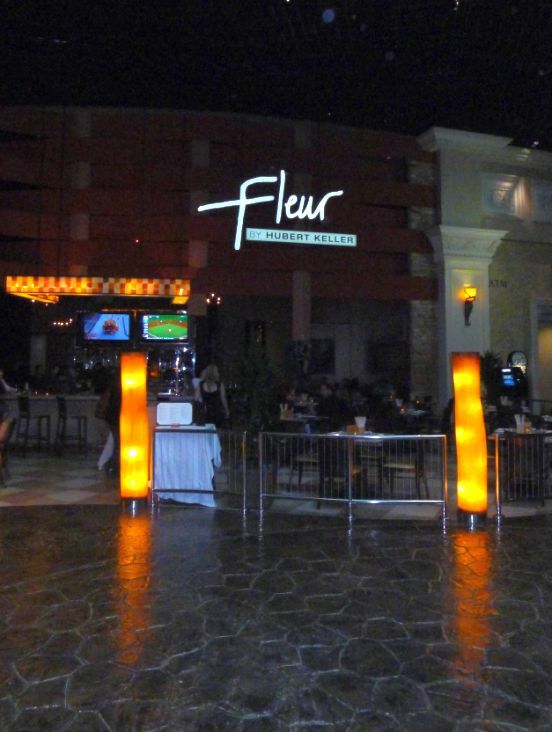 Fleur by Hubert Keller offers small plates from around the world featuring intense flavors and exotic presentations in a fun, social environment. 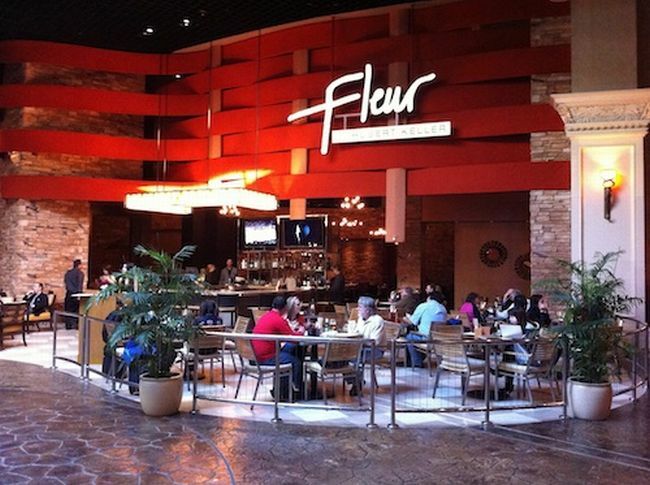 Same concept as Julian Serrano, Fleur offers casual seating at the bar, lounge and patio, or for a more intimate experience in their dining room. 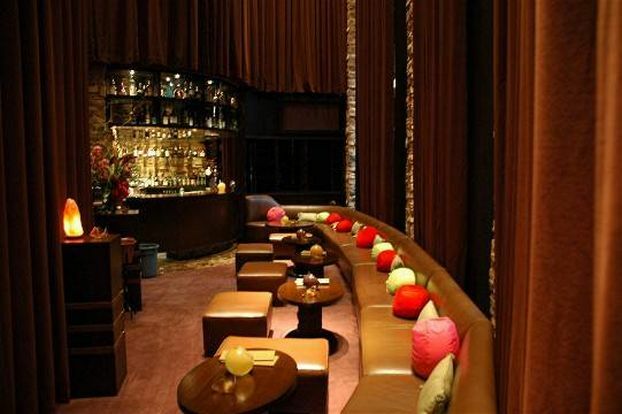 The result is a fun and open atmosphere, along with a globally inspired menu that features a host of small plates. I was told by the waitress not to call the food as "tapas" but rather as "small plates" because the cuisine is not Spanish and therefore Tapas would not be correct. 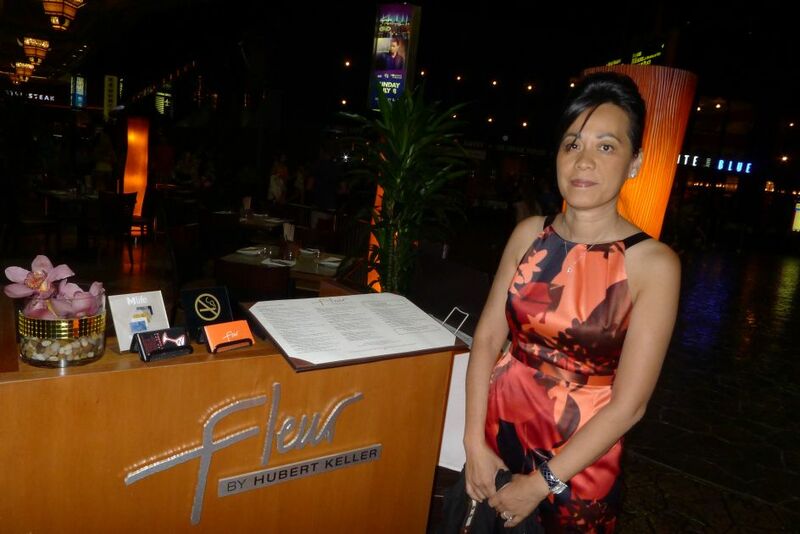 The food at Fleur is describes as global cuisine but basically the food is meant to be share just like tapas! 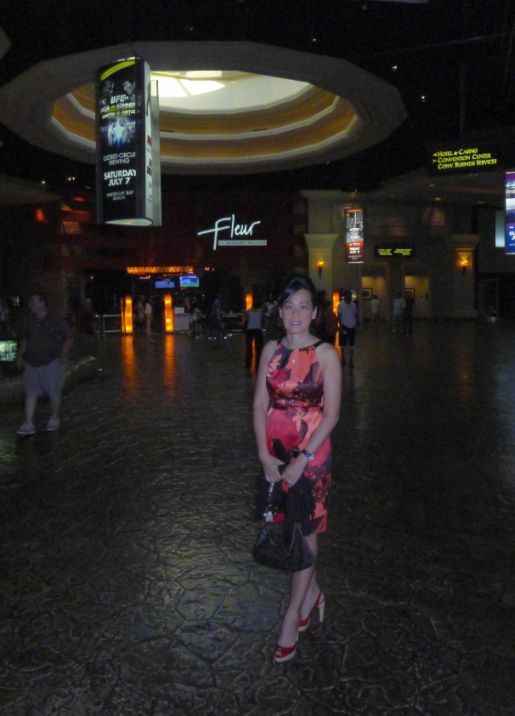 Fleur is located in Mandalay hotel. 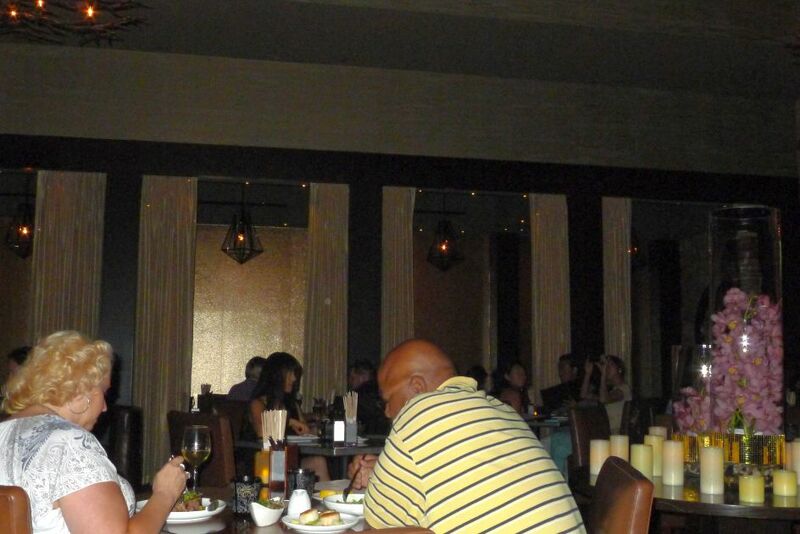 People have a choice of seating in the patio area outside the door or choose a seat in the main dinning room (indoor just behind the bar. The patio is a very nice spot for watching people going by while having a cocktail and tasting a few delightful small plates before dinner. 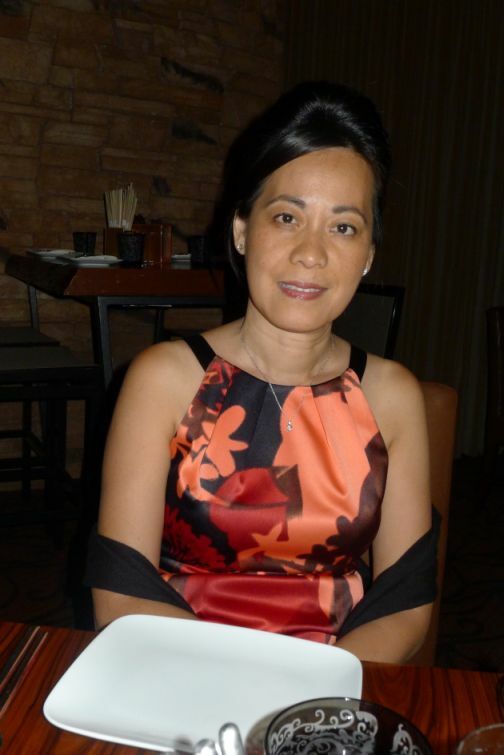 Checking in with the hostess and waiting to be seated. 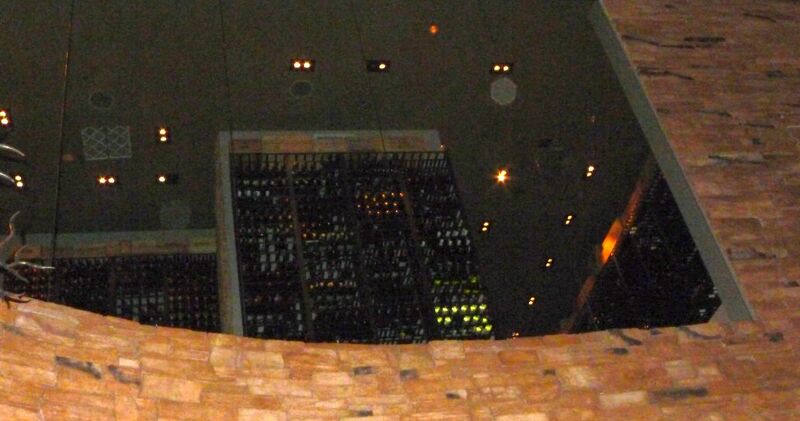 As we were sitting down and we looked up (second floor) is located an impressive wine cellar with thousand of bottles. 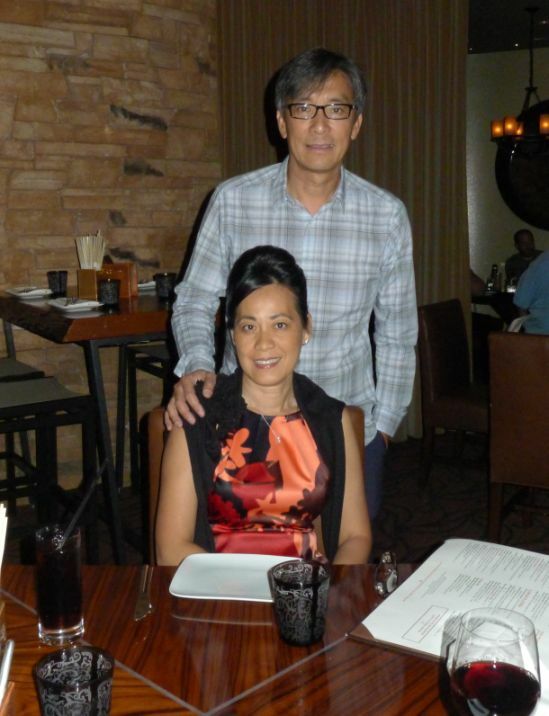 Felt like I was sitting inside a tower of a castle in France because of the wall are made of stones, and the iron forged chandeliers hanging from the ceiling. 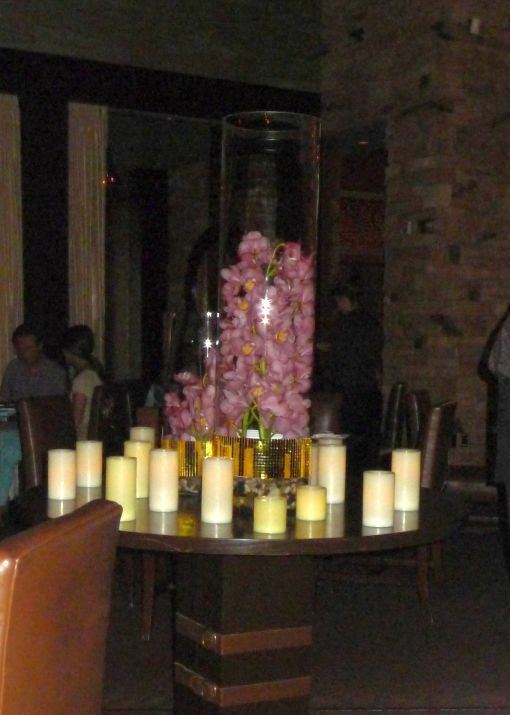 The dinning room is very masculine but at the same time if felt very intimate and cozy as well. 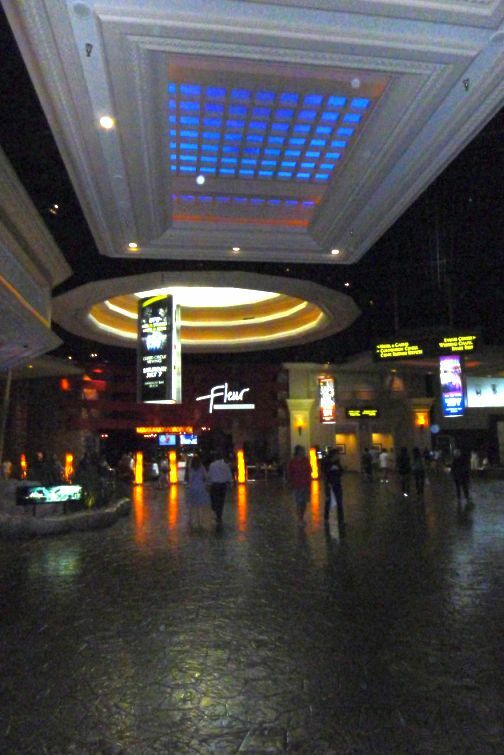 Here you can see the cellar on the 2nd floor! 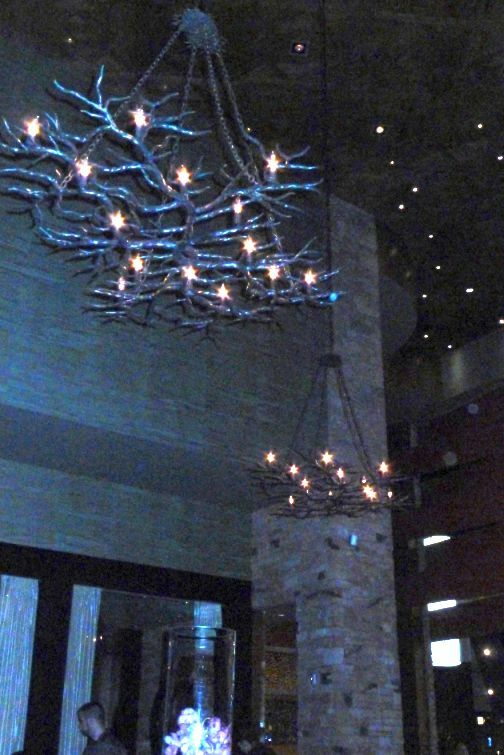 Massive iron forged chandelier hanging from the ceiling. 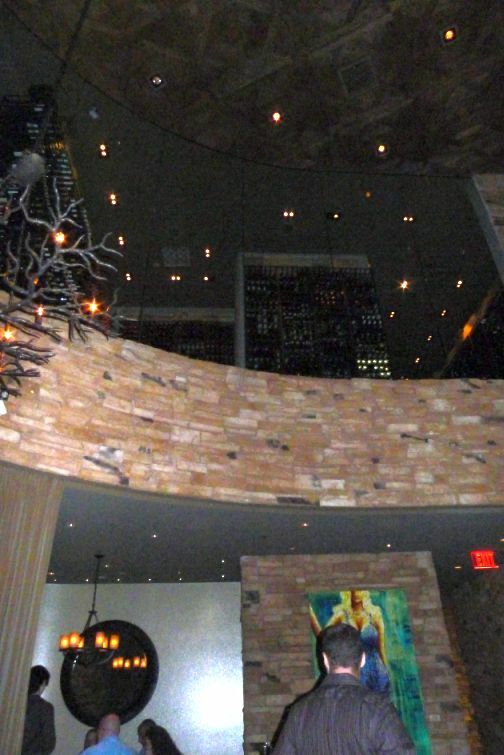 Looking into the main dinning room! 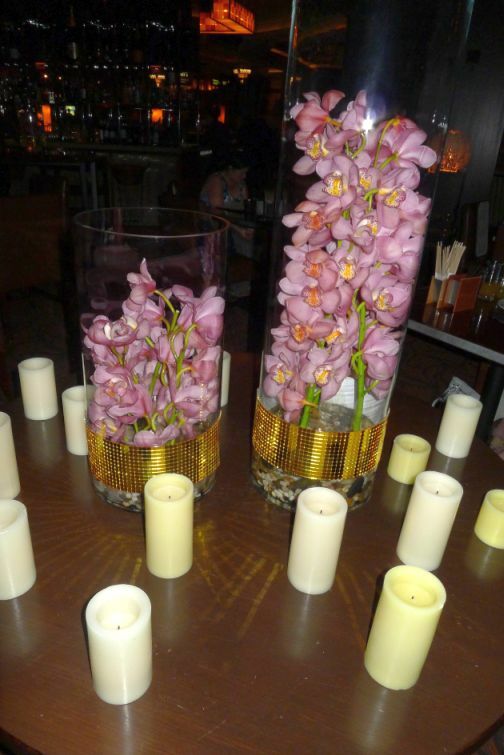 In the middle of the dinning room they set up a table with live orchids and lots of candles. 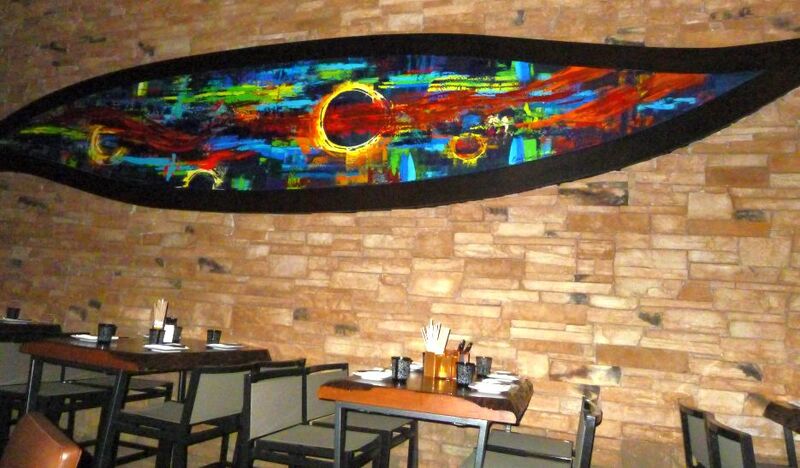 A colorful piece of art work hanging on the wall. 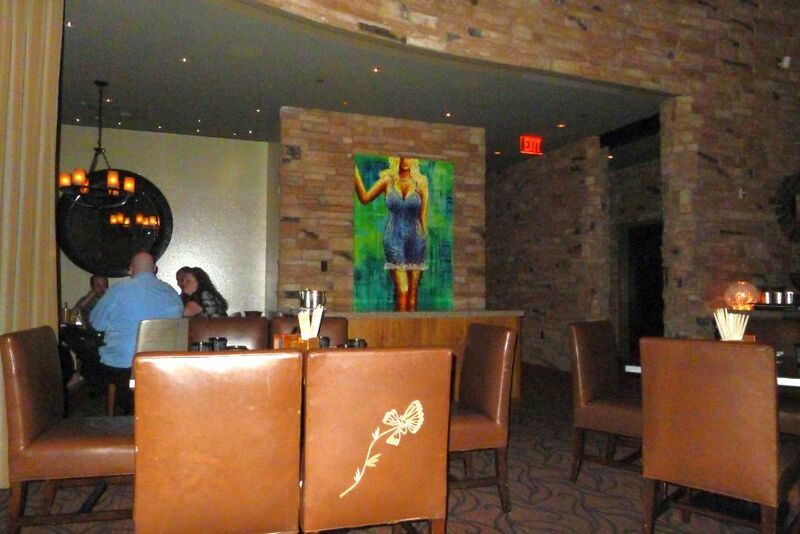 More dinning area close to the bar. 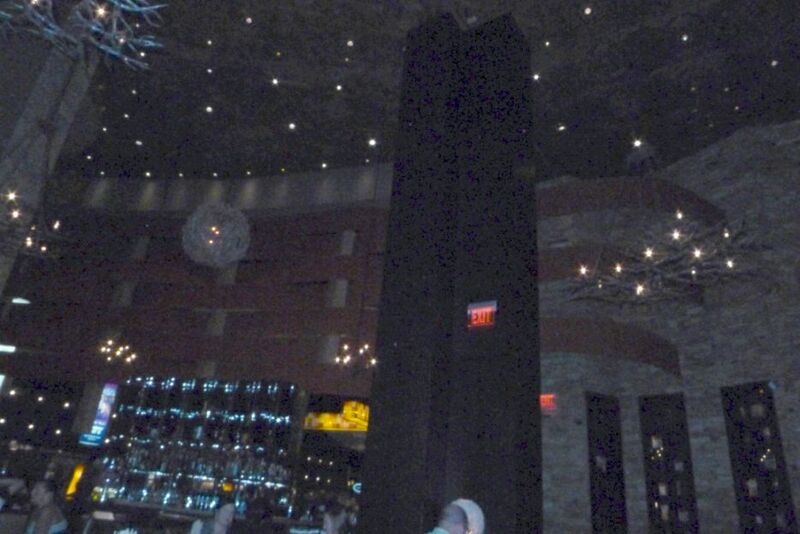 Again, it is very dark inside the dinning room. 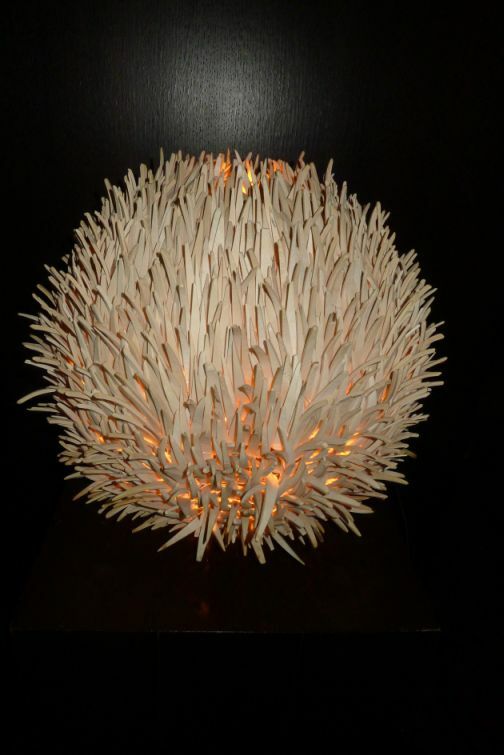 Interesting light fixture on the wall. The menu with an interesting note on the right corner: The Feast- eat the (whole) menu for $450 or in the middle on the menu under LARGE PLATE : Fleur burger 5000 made with wagyu beef, foie gras, truffle with a bottle of 1995 Chateau Petrus for a mere $5,000! Wondering if there were any takers or they only include it for fun! Simple plate setting at Fleur. 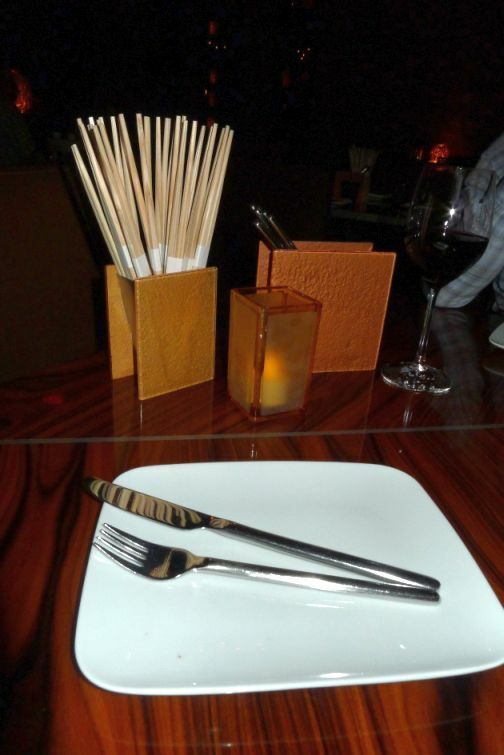 Notice they also have chop sticks because this is global cuisine!